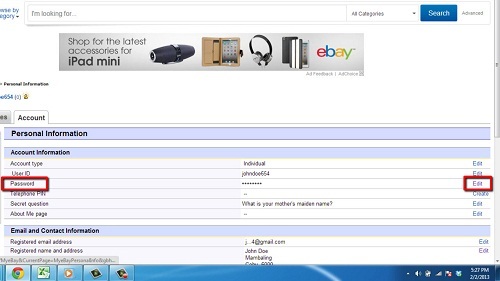 In this tutorial you are going to learn how to change ebay account password which is something you should do regularly. You will see a password field on the right, click “Edit” to the right of this. You will be asked to log in again as an additional security measure. On the next page you will have to enter your old password again and type the new password twice. Once done, click “Submit” and you will be redirected to a page confirming that your password has successfully been changed. 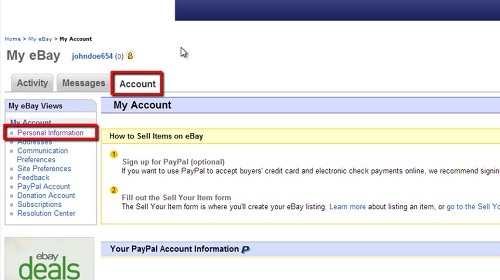 This is the simple process for learning how to change ebay account password.